We have a new line of greeting cards... so, without further ado, we introduce Cardthartic!!! They have just arrived and have plenty of animals like before.... but they are fresh, fun and fabulous! Best of all, they are Made in the USA using soy ink on recycled paper. 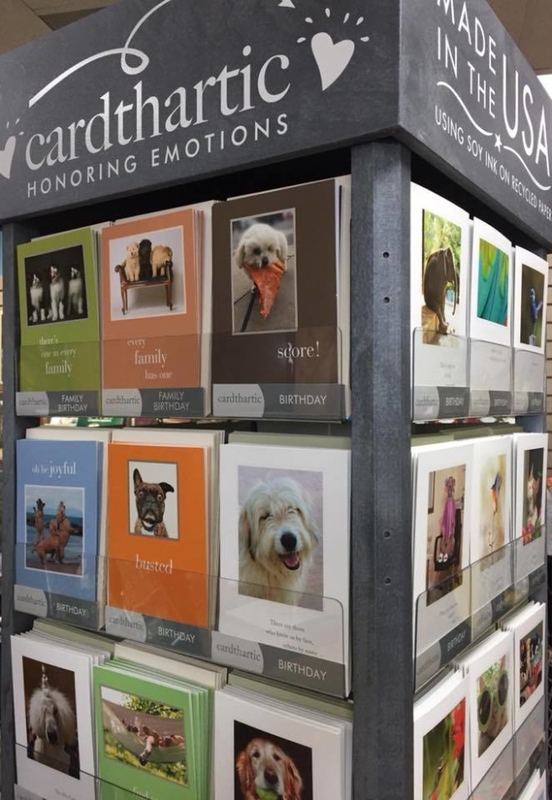 We had a great time picking out each and every design and we are particularly pleased at the really nice assortment of pet condolence cards. 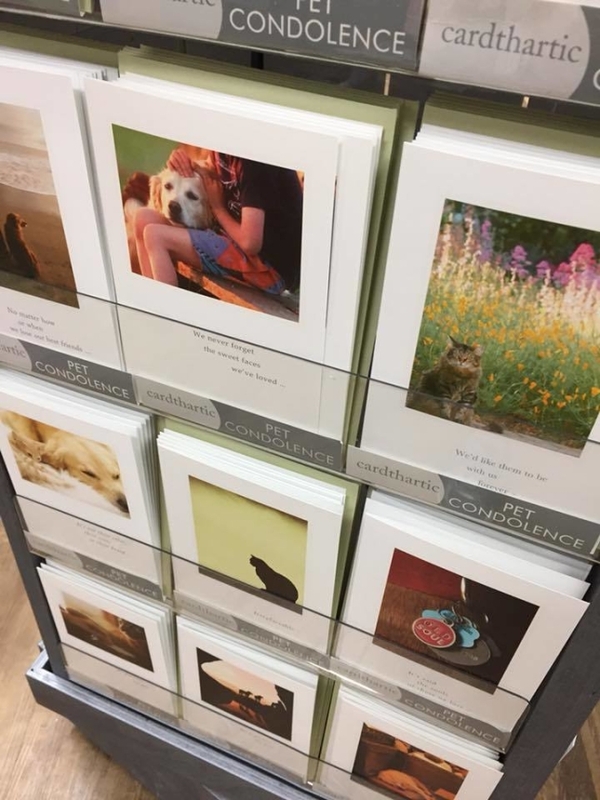 So make sure you stop by and check out the wonderful selection of New Greeting Cards!